You are invited to come and experience missionary aviation. It's your opportunity to come and see Ethnos360 Aviation, formerly NTM Aviation, up close and personal. Saturday, February 24, 2018, from 9 am to 5 pm, we will be opening our doors here in McNeal, Arizona and welcoming visitors to our 2018 Ethos360 Aviation Expo. Lunch will be available at the event. You are also welcome to pack a picnic lunch and eat at our picnic area. You can expect to spend about two hours seeing the displays and enjoying the activities. Those wanting rides may need to stay longer. You'll be happy to know that we'll be running two helicopters to meet the high demand for helicopter rides. We are adding additional personnel to keep the lines moving more rapidly than last year. And we're working on an expanded jungle scenario to give you an up-close live experience view of ministry among unreached people groups. 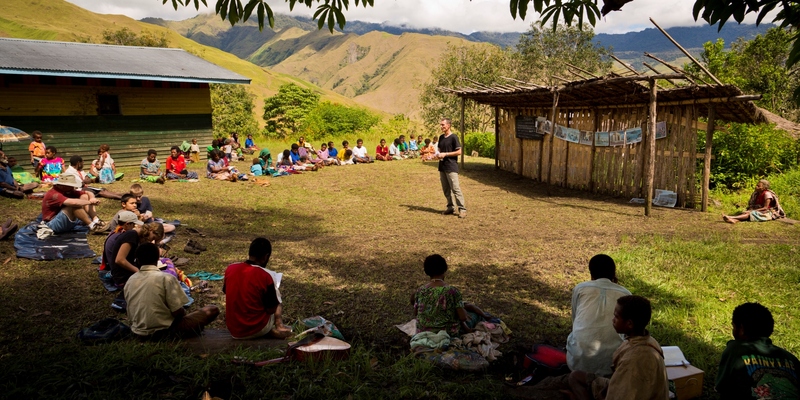 You'll get a realistic taste of the tribal church planting and Bible translation that NTM Aviation/Ethnos360 Aviation supports in Papua New Guinea, Asia-Pacific, the Philippines, and Brazil. We will have a store where you can purchase Ethnos360 mugs, t-shirts, hats, note cards, and other items. We will accept credit cards as well as checks and cash for the store and rides. Aircraft rides will be available on a first come, first served basis. Plane rides will cost $20 a seat. Robinson R66 helicopter rides will cost $25 a seat. See mission airplanes and helicopters. Take helicopter and airplane rides - $25 per seat for helicopter and $20 per seat for airplane. Participate in a missionary jungle experience. And most of all, we would like you to hear about the tribal church planting missionaries that we serve around the world. Ethnos360 Aviation is located at 3870 W Volunteer Rd, McNeal, AZ. We are 30 miles east of Tombstone, 3/4 mile east of Hwy 191 on Davis Rd at mile 25. If you would like to promote this event at your church or among your friends, here are some downloadable resources that you can use.